If you’re looking for a peaceful, less artificial feeling place to stay in Les Trois Vallées then pretty St Martin de Belleville with its small square and old church might be perfect for you. Between Méribel and Les Menuires and linked to these ski areas and the larger Trois Vallées ski region, the best places to stay in St Martin de Belleville offer all the superb skiing of these larger resorts, but with a quieter atmosphere. As well as the long, easy intermediate runs on rolling slopes, St Martin de Belleville offers gentle and often deserted off piste areas and an impressive descent from Roc de Fer. There are also about 28miles of cross country trails and some great free riding opportunities for snowboarders. Gourmet cuisine - St Martin may not be party central, but it boasts several superb restaurants including the Michelin starred La Bouitte. Our Guru’s recommendations for the best places to stay in St Martin de Belleville all have less than 30 rooms and all provide peace and beautiful views. 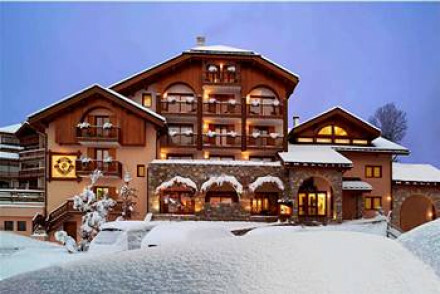 Perfect for families, romantics, or simply those looking for a skiing holiday without the late nights! The Hotel St Martin is a rather charming family hotel with 27 rooms, family suites and apartments sleeping up to ten. The decor is chalet charming and snug and there are two restaurants and a sun terrace all close to the slopes. 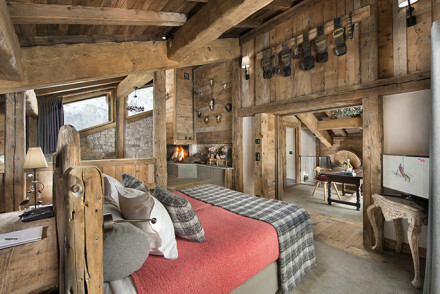 If your idea of romantic is rustic chalet chic then La Bouitte, with cosy, wood panelled rooms, wonderful spa and Michelin starred restaurant this could be perfect for you. There are just ten rooms. St Martin de Belleville is about two and a half hours from Geneva airport. Chambéry is closer. Lyon and Grenoble might also be useful options depending on where you’re flying from. There’s a regular shuttle bus from the nearest station, Moûtiers to Les Menuires and Val Thorens. It will take about an hour. Be aware that cars are banned in the resort - though you are allowed to drop off luggage. Because the season is so long here it can be hard to gauge the best time to visit St Martin de Belleville. Christmas and New Year are very popular but it’s much quieter in January. There are French school holidays in February so book ahead if you want to visit then. Come in March when the snow starts to decline - but it depends on the year and the snowfall. If you want to see the mountains snow-free then June, July and August are for you. Or consider Meribel and Courchevel?